The management training Arthy received helped her gain an understanding of the business environment, preparing her as an eligible graduate. Approximately 50,000 people work in GKN companies and joint ventures in more than 30 countries. We harness our considerable technology and manufacturing resources to supply the highest quality systems, structures, components and services. 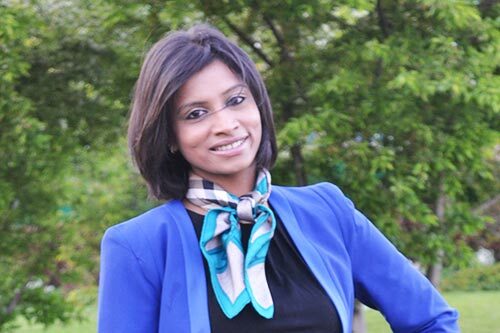 Arthy started her career at GKN plc as an International Leadership Development Programme member. As part of her programme she had secondments in the UK, India and USA in areas of engineering, purchasing and programme management. She joined the Aerospace Growth Partnership (AGP) team in September 2014 as Programme Manager. The AGP has led to a step change in the relationship between government and industry, while encouraging UK companies to cooperate more closely in addressing problems that affect the sector as a whole. Managing a busy schedule while studying at City taught Arthy how to manage her time effectively. The management training she received also helped her gain an understanding of the business environment, preparing her as an eligible graduate for any company. Most of my lecturers had a great industrial and research background and hence could relate the lessons to current problems faced by the industry. They would force you to think outside the box in every aspect and would encourage you throughout the whole course. Arthy's ambitions for the future are to continue on the path she has started and to play an important role in developing the AGP and UK aerospace.